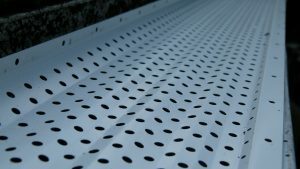 Gutter Rx is an economical, yet effective gutter guard system that fully encapsulates your gutters, keeping out leaves, debris, squirrels and birds. It’s innovative, all aluminum, interlocking panel design securely attaches to existing 5″ and 6-inch gutters. Gutter Rx does not interfere with your roof, so it can be installed on homes and buildings with asphalt shingle, metal, tile, slate, rubber and TPO roofs. The guard’s wavy surface helps prevent leaves and debris from sticking to its surface. 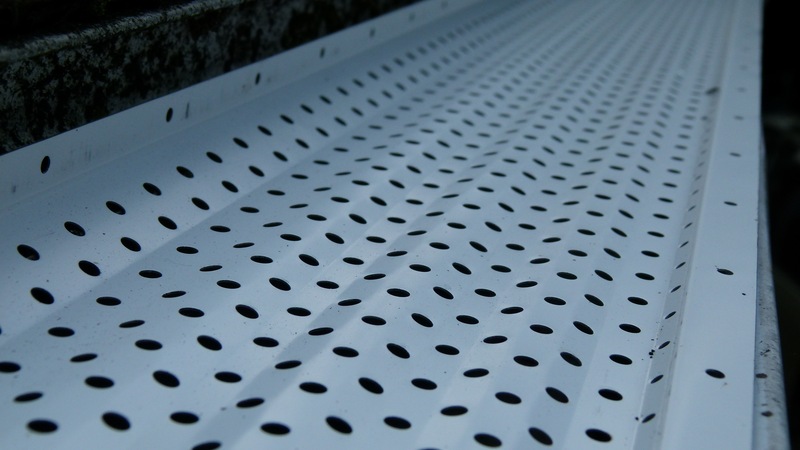 Hundreds of optimally sized holes across each panel accept high volumes of rain water, and quickly dry out any debris on the surface, allowing it to fall to the ground with a light breeze. GutterRx is designed to prevent most leaves and debris from entering your gutters, including pesky helicopters and whirlybirds from Maple trees and oak tassels from Oak trees. Since Gutter Rx is made from solid aluminum, it will offer years of trouble-free performance and will not expand, contract or deteriorate like plastic and PVC gutter guards. The panels are environmentally friendly and fully recyclable. Gutter Rx includes an industry-leading 20-year no-clog manufacturer’s warranty when professionally installed. If you’re a homeowner, contractor or do-it-yourselfer who is looking for an effective gutter protection system, give us a call today at 1-800-750-2131. We install regionally and ship nationwide.